Campit offers a variety of RV Sites in Central Park, the East Village and Westwood. Central Park RV sites offer 30amp power connections and on site water for filling holding tanks. Waste water disposal is at our dump station or you can order Honey Wagon service at an additional cost. 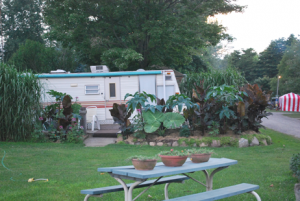 East Village RV sites offer full water and sewer hookups and 50 amp power. Westwood Super Sites offers pull-through RV sites with full water and sewer hookups and 50 amp power.